The qualifiers for the MDL Disneyland Paris Major are finally over and 15 teams from 6 different regions have secured tickets for this prestigious event. Nine of them are the usual suspects but the other six are teams that nobody would have predicted to succeed in the regional qualifiers. Keep in mind that the MDL Disneyland Paris Major is scheduled to take place between May 4th and May 12th. 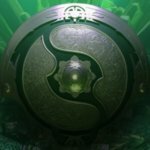 The tournament represents the 4th Major of the Dota Pro Circuit and one of the last chances for many of its participants to score enough points to secure one of the 12 direct invites to The International 2019. These are the nine teams that were expected to qualify for the MDL Disneyland Paris Major and actually did. In particular, it’s noteworthy that China was the only region without any surprises. Everyone that was expected to secure a spot at the Major did that, even though Vici Gaming had a few issues along the way. The MDL Disneyland Paris Major Qualifiers had an unusual number of surprises. Almost every region saw at least one team raise up to the occasion and upset a better established rival. This list makes me feel like it’s 2016-2017 again. Of all these teams, OG and Mineski are probably the ones with the best chances of breaking into the top 12 after the Major. The other 4 competitors don’t have much of a chance but it’s still exciting to see them play at such a high level, after months or even years of absence. In particular, TEAM TEAM is for the first time in their history at a Major. And with this performance, I think a lot of people will realize just how good EE is as a player, in spite of being very unpopular for his cruel decisions regarding roster changes. As soon as he joined TEAM TEAM, this provincial nobody actually managed to outperform the likes of J.Storm and Forward Gaming in the regional qualifiers for a Major! Elsewhere, in the CIS region, Team Empire did something remarkable during this qualifier and finished 2nd after beating Na’Vi twice. As for OG, their victory is 50% a result of ana coming back to the team and 50% a result of NiP failing to beat a much weaker team, The Final Tribe, thus giving OG a very easy way of securing the 3rd European ticket for the MDL Disneyland Paris Major.